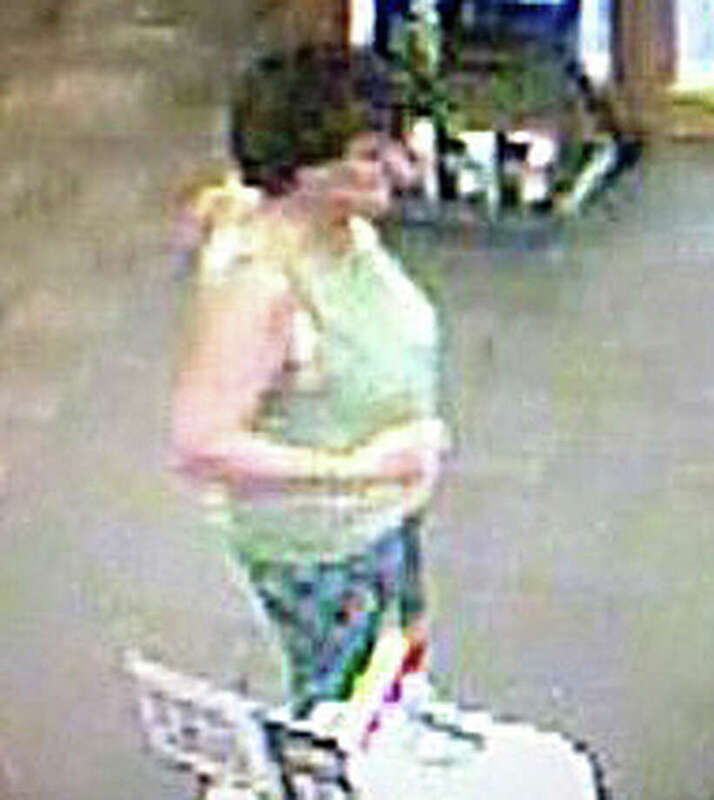 Police are asking the public's help in identifying this woman -- seen here in a suveillance camera image -- wanted in connection for a breach of peace incident Sept. 1 at the Fairfield University Bookstore. Police have released a video surveillance photo of a woman wanted in connection with a breach of peace incident in the Fairfield University Bookstore. The incident took place Sept. 1, shortly after 4 p.m., when police said the woman entered the store at 1499 Post Road from the main entrance. Carrying several books, according to the report, she went directly to the cashier's desk where the incident took place. The woman is white, 55 to 60 years old with reddish-brown hair, police said. Anyone with information about the suspect is asked to contact the Police Department's Detective Bureau at 203-254-4800, or use the anonymous "Text-a-Tip" line, with information available at www.fairfieldpdct.com by using the icon on the main page.